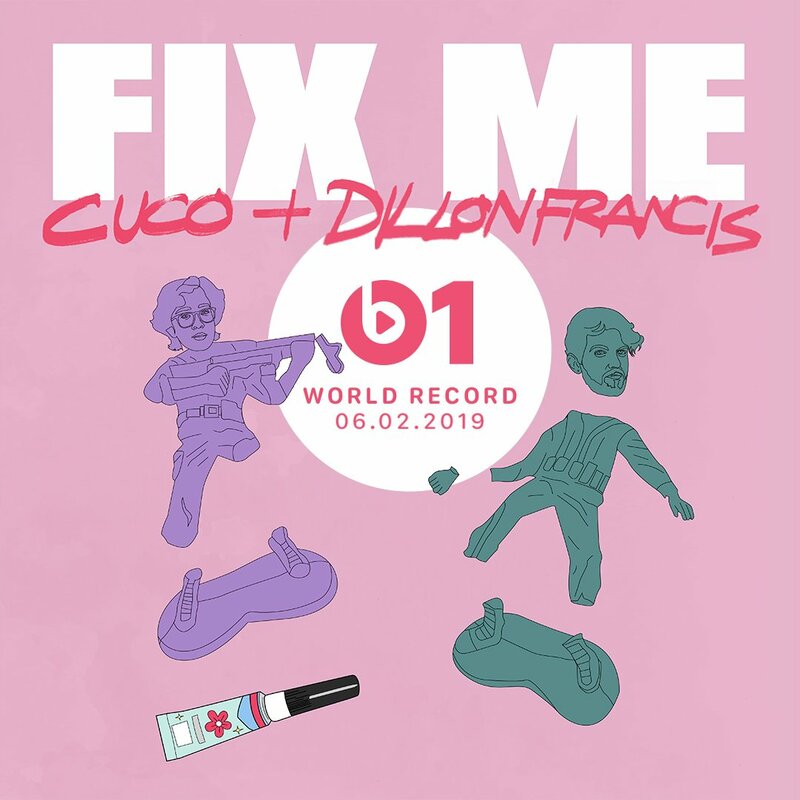 Dillon Francis hit us all with a huge surprise Tuesday when he took to Twitter to announce that he and Omar Banos was better known as Cuco are debuting ‘Fix Me’, as the World Record on Beats 1 with Zane Lowe Wednesday morning. The American DJ and producer came to play in 2019! Already having released ‘Catchy Song’ featuring T-Pain & That Girl Lay Lay for The Lego Movie 2: The Second Part. As well as just a week and a half ago releasing a collaboration with Alison Wonderland ‘Lost My Mind’, not to mention also embarking on their Lost My Mind north American tour. Why not add more to the madness, Francis decides there’s no better time than the present to show off his and Cuco’s new collaboration ‘Fix Me’. ‘Fix Me’ is a complete 180 from both of his prior releases this year. Dillon gives us a perfectly soft and dreamy trap vibe for the bilingual Cuco to pour his heart out to us about his love life. Give ‘Fix Me’ a listen and let us know what you think! Check out Dillon Francis & Cuco – ‘Fix Me’ OUT NOW. Previous articleUshuaïa Ibiza Unveils First Residency For 2019… Can You Guess Who It Is? Skrillex Plotting a Concert….in Space?